I have also used the following: WRMK Corner Chomper, Spellbinders Circle Dies, My Favorite Things cloud dies, Frantic Stamper Stitched Border Die, gingham cardstock and Spectrum Noirs. < Previous Easter Bunny milk cartons…..
Next > ‘Time to Seal-abrate!’…. Darling Easter cards with the adorable bunnies! Love the gingham paper, too! These are so very precious, Karen!! 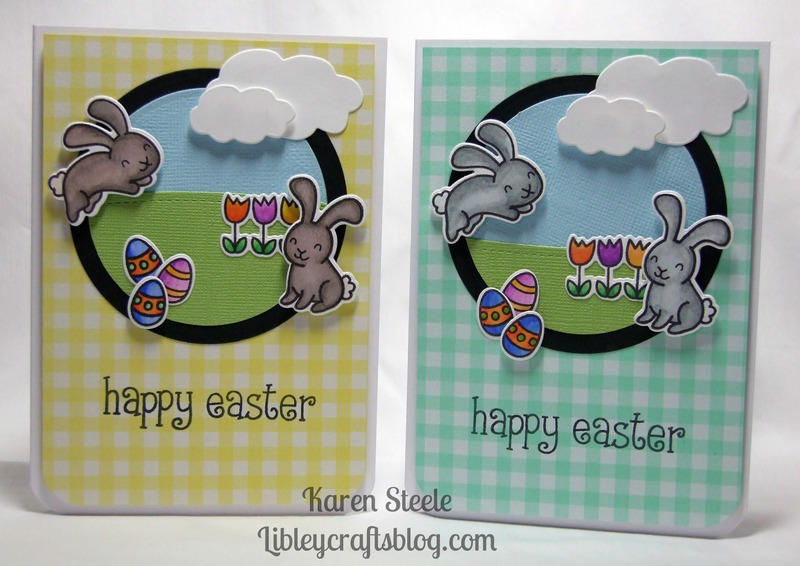 Love the spring colors and those adorable stamps!! Adorable!! Adorable Easter cards, Karen! Love the sweet spring design!